There are reduced populations due to hunting, loss of habitat, and competition for resources. Currently, there are captive breeding programs and protection against international trade. 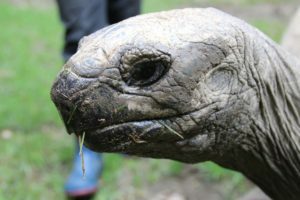 The Aldabra Giant Tortoise, as stated in the name, is large. They have a dark gray to black domed carapace. They can be over 1 meter in length. 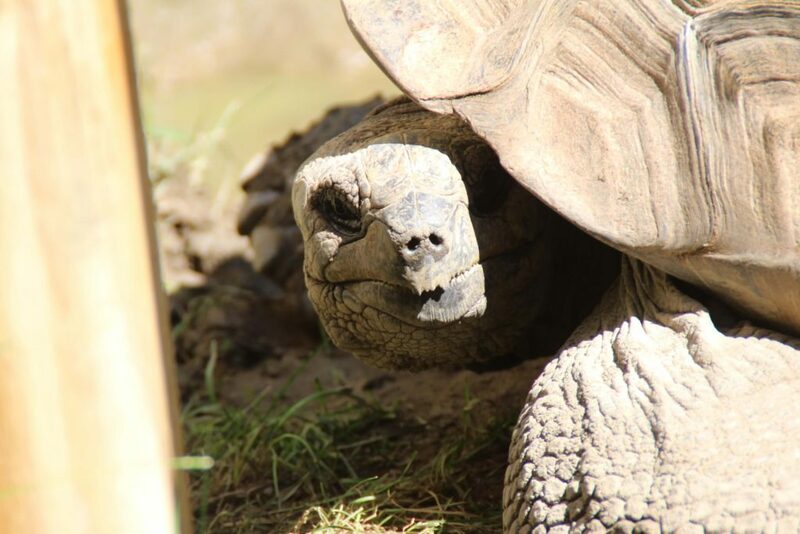 Males weigh up to 550 lbs or more. The oldest known Aldabra tortoise in captivity at the present time is 170 years old. Inhabit vegetated areas from scrub and mangrove swamps to platins (grassy plains). Males will bellow while chasing females for mating. 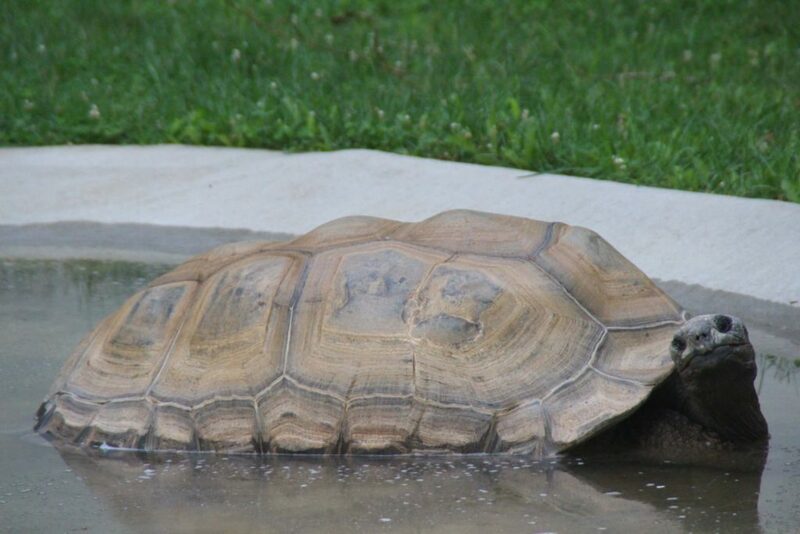 Hatchlings emerge any time from 3.5 to 7 months after eggs are laid. 9-25 eggs per clutch, which may take up to 7 months to hatch and only 50% of which may be fertile. They do not reach sexual maturity until they are in their 30s. Eat mainly vegetation, but may occasionally supplement their diet with carrion. They are active mainly in the early morning and late evening. 1. They can drink from shallow pools through their nostrils. 2. One of only 3 giant tortoises alive today in that region and the only one of those three alive in the wild. 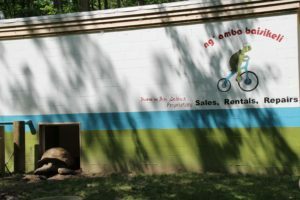 Al is Binder Park Zoo’s Giant Aldabra Tortoise. 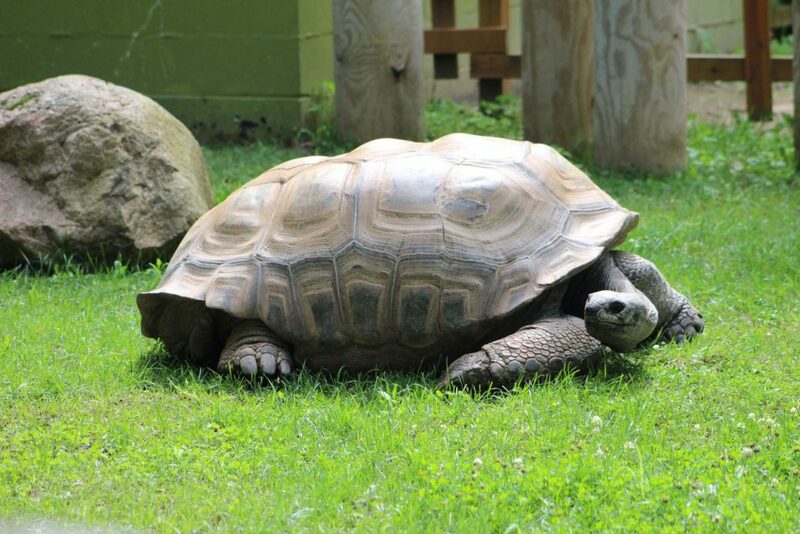 These enormous tortoises are found on the Aldabra Islands in the Indian Ocean, inhabiting grasslands and swamps. 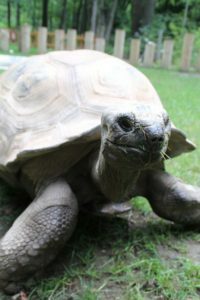 Al became a resident at Binder Park Zoo in 1984 and has lived here longer than any other animal in our collection. Zoo staff estimates that he is around 80 years old, which is considered middle-aged, as they can live up to 150 years. Al weighs in at an astonishing 550 pounds. His diet consists of hay, leafy greens, tortoise pellets, vegetables, and fruits, his favorite being a banana. He likes the warm weather, so when it is temperate and sunny, you can find him grazing on grass or soaking in his pool.